This statement is made pursuant to s.54 of the Modern Slavery Act 2015 and sets out the steps that ETB Tyres Limited and its subsidiary companies (ETB) have taken and are continuing to take to ensure that modern slavery or human trafficking is not taking place within our business or supply chain. ETB is a subsidiary within the Bridgestone Corporation group of companies ("Bridgestone"), the largest manufacturer of tyres and rubber products worldwide. Bridgestone is focused on its mission of "Serving Society with Superior Quality" and the Bridgestone global corporate social responsibility commitment "Our Way to Serve". Through its Mission, Bridgestone strives to be a company trusted by the world. This statement guides us on all matters affecting human rights and labour practices. It expressly prohibits any child labor or forced labour. The Bridgestone Group prohibits forced/compulsory labour in our organisation, and in our supply chain and is applicable to all employees and locations in the companies of the Bridgestone Group. It is reflected in our Code of Conduct which explains the manner in which we behave as an organisation and how we expect our employees and suppliers to act. Bridgestone requires that all its group companies and their employees respect fundamental human rights, as set forth in their national law, EU law and applicable international conventions. We promote respect, dignity and diversity. In its Code of Conduct Bridgestone requires that all its employees, including those of its group companies such as ETB, do not discriminate against other employees: differences in opportunities and/or treatment must be based on only on elements relating to an employee’s ability, competence, and achievement. We do not allow any discrimination on the basis of race, ethnicity, nationality, birthplace, colour, age, gender, sexual orientation, disability, religion, political affiliation, union membership, marital status or any other characteristic that may be protected by law. We operate whistleblowing hotlines through which employees may raise concerns about legal or policy violations or concerns, such as how colleagues are being treated, or suspected practices within our business or supply chain, without fear of retaliation. 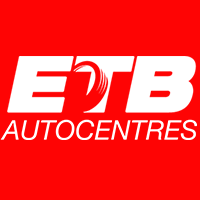 ETB - Your number one company for tyres in Worcestershire, Warwickshire, Gloucestershire, Herefordshire, South Wales and Plymouth. Calls may be recorded for training and to ensure the best quality customer service.